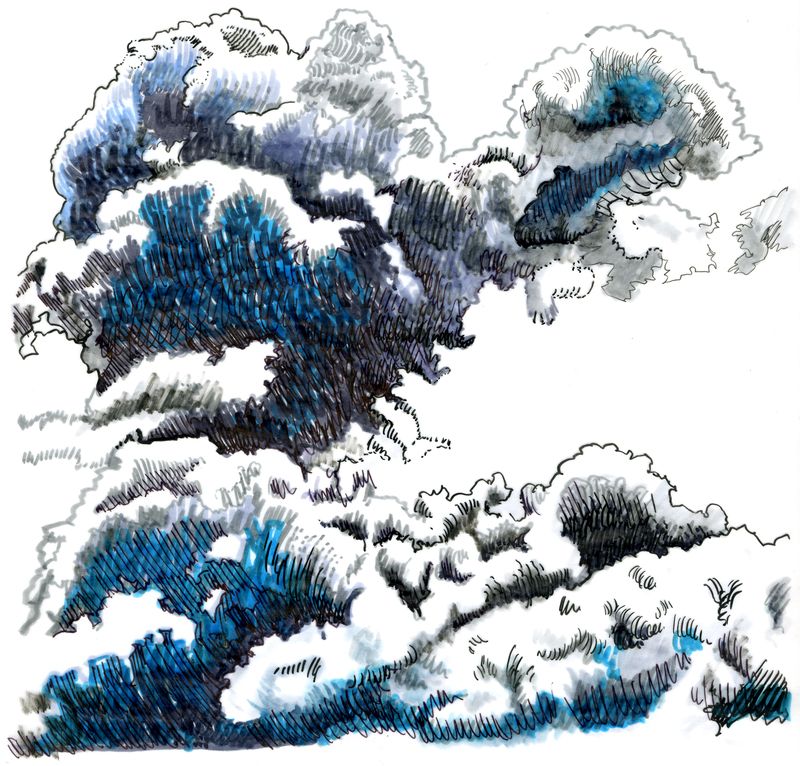 Nuvens, Rui Barreiros Duarte, ink on paper, 2011. Clouds also deserve a break and, on their day off, they occasionally travel to Lisbon. Mostly, it’s the cirrus and stratus, the pretty, socialite clouds that come looking for a good time. But, sometimes, they let the nimbus clouds tag along and then it rains. These rainy days are a blessing to the ancient trees scattered throughout the city, fruits of the seeds that Portuguese sailors brought from all over the world. For the tourist, a rainy day is an opportunity to try some of the best tea and scones in Lisbon. These have been served for more than 30 years at the Vicentinas, a tea shop in Rua de São Bento. The proceeds go to charity, which makes these wonderful scones taste even better. Added to my “rainy day list” along with the many remarkable museums and galleries (etc etc) that lisbon has on offer! Thank you!